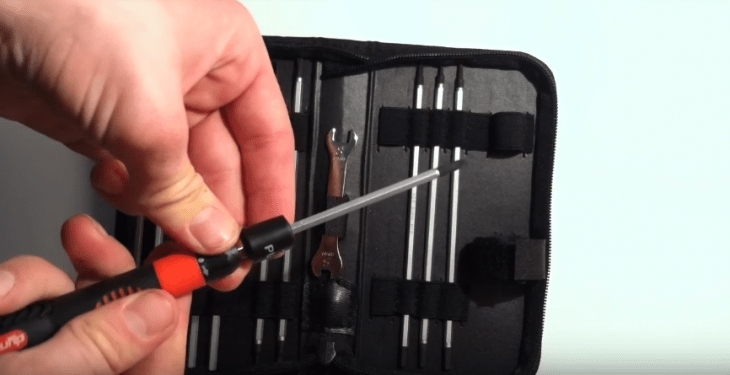 Best RC Tool Kit Reviews: Top-Rated Products in April 2019! Radio Controlled cares are kits that require a lot of care and frequent maintenance. The use of these models over time leads to wear and tear. Just like you would care for your actual car, so too should you care for your RC car. RC cars come in four basic configurations, gas or electric powered motors, assembly kits or ready to roll kits. The difference between each type is in the level of care you can apply with confidence. As such, this article is not a comparative article, where I present you with competing tools, but an overall review of the various tools to be used for car repair. The kits are split into different categories; there are hand tools for general use in electric motors, tools for use with gas motors and electronic kits for the RF controllers. In this article, I bring you the five best kits for each category, and at the end of the article I present you with a brief buying guide. 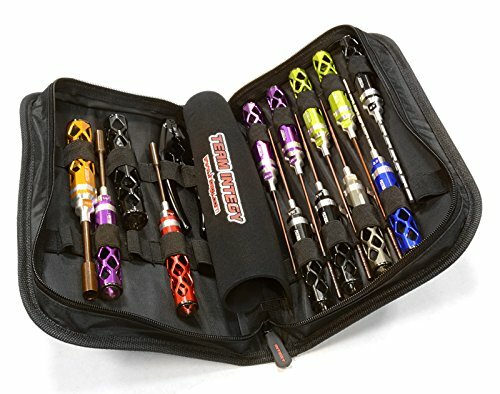 This is a 17-Piece Standard 1/10-Scale Competition Off-Road Tool Set w/bag. When it comes to comprehensive toolkits, it’s hard to beat this 17-piece pack for both electronic and gas motor RC cars. Tapered reamer to make holes up to 16mm in diameter. Zipper closure with rubber pull tab, and a built-in carrying strap. If you are a serious modeler and racer and have at least one 1/10 scale performance car, this is the kit you want, and need. Its neat, compact and ready to perform every task you require for maintaining your 1/10 scale models in perfect shape. This is the Fluke Networks’ Electrical Contractor Telecom Kit. 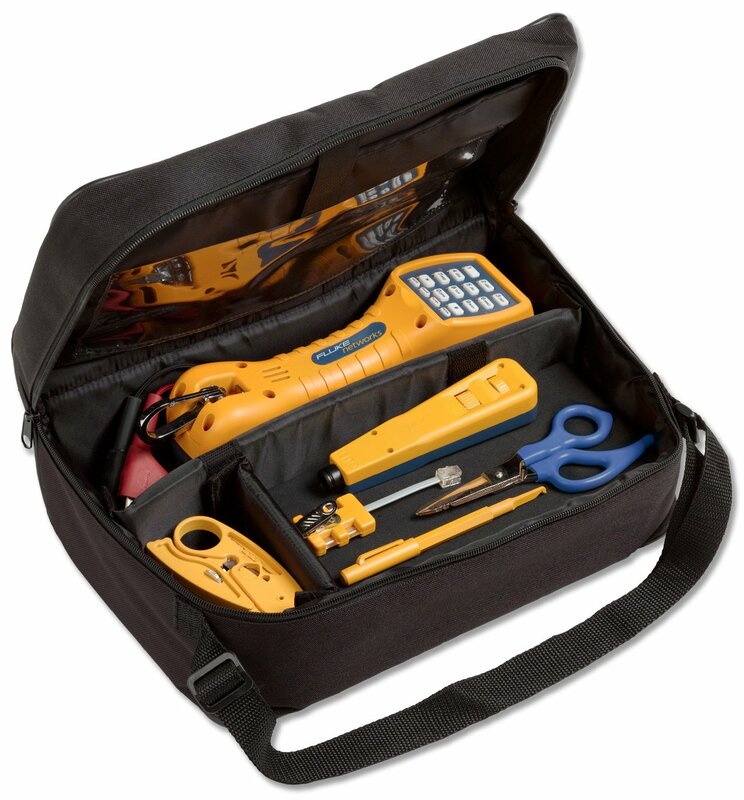 This is an industry standard telecommunications tools and telecom test equipment kit that comes in a handy Cordura bag. Every RC user has at least one 2.4Ghz RF transmitter and receiver, and to maintain their performance you need the right tools. Now, I don’t expect everyone to be ready to maintain their RF tools, after all, this is a qualified professional that requires more knowledge than that of twisting screws and bolts. However, for those RF minded individuals out there, here is the perfect solution to help you maintain your model RC in perfect RF order. Standard 4-Wire Modular Adapter and Probe Pic. This kit will keep your RF in sync and will also help you check and maintain all connections. This is a professional model used by telecom engineers, so it’s more than enough for your 1/10 model RF transmitter and receiver. 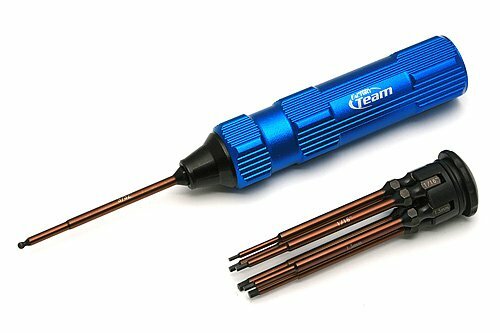 The Factory Team 8-Piece Hex Driver Set is a compact and lightweight tool solution for all 1/8 to 1/12 models. This is a classic main toolkit that comes with 8 pieces designed to open and close all model components. 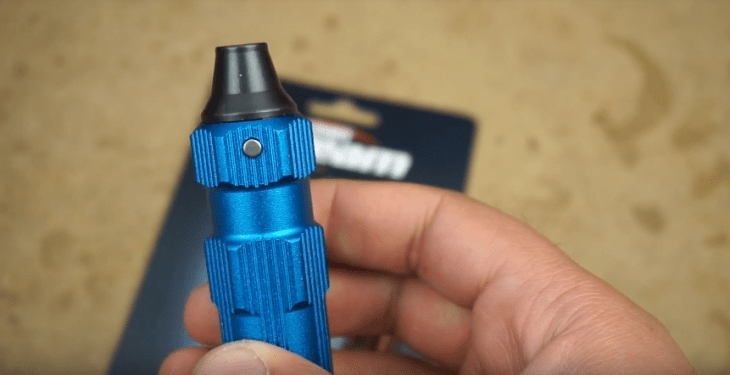 This is a compact ergonomic tool, coming with one interchangeable tooltip handle made of a rugged blue anodized aluminum alloy. 1/4″ hex drive for heavier duty jobs. 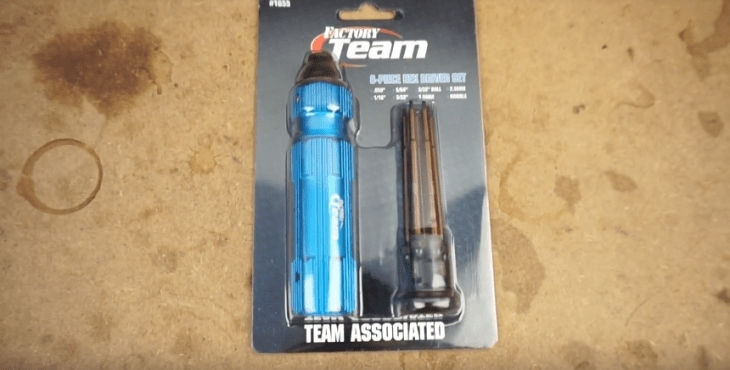 This is a pocket-sized toolkit which is a perfect addition to any comprehensive kit and can be carried around with you everywhere. 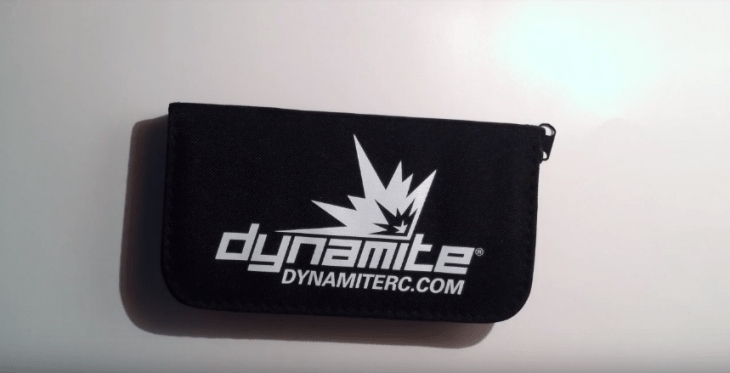 This is the Dynamite Traxxas Startup Tool Set; it is specifically designed for all Traxxas models. 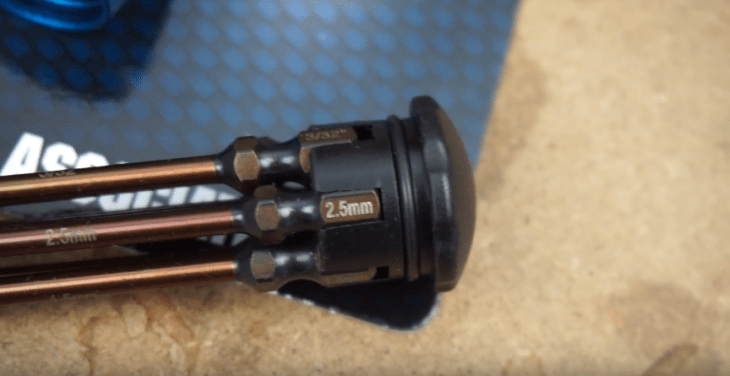 Whether you have a gas or electric motor, this handy little toolkit will provide you with the entire pitstop experience you need to keep your car on track all the time. 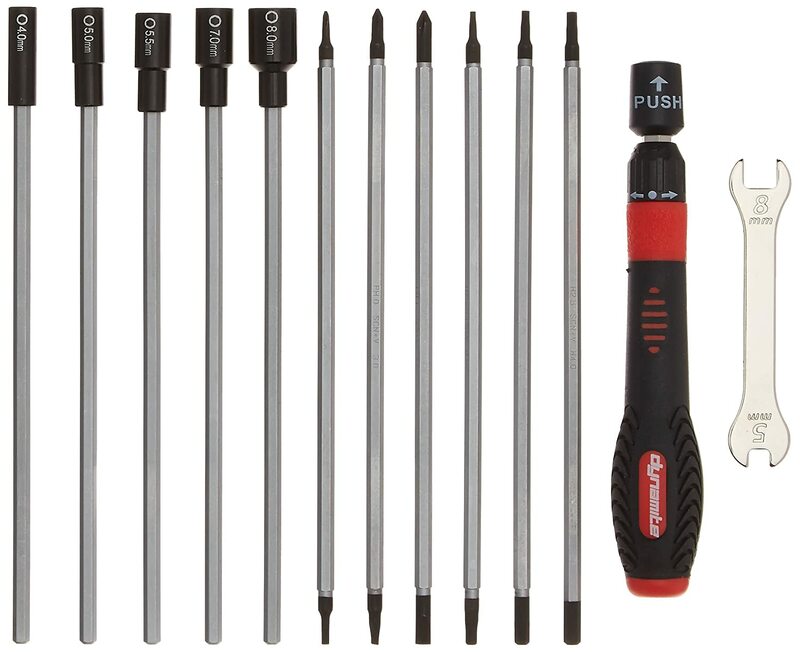 This is a 13-piece comprehensive toolkit and is made from tool steel tips with an easy and slip rubberized fee handle for solid grip and ease of use. If you own a Traxxas model, then you must own one of these kits. They are designed specifically to meet all Traxxas model designs, including gas and electric models. 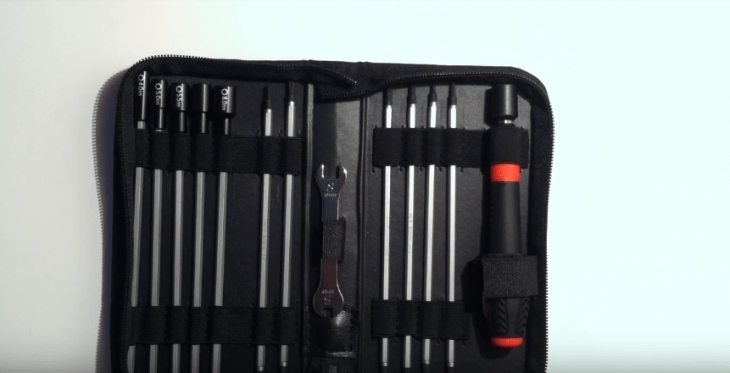 This MIP kit comes with 6 wrenches of the most popular sizes used and is designed with big polycarbonate handles, so you don’t have any torque and grasp issues when dealing with even the most delicate of parts. If you want a basic set of wrenches as an addition to a comprehensive toolkit, then the MIP is a perfect choice. They are rugged and delicate at the same time and are precision tools for accurate maintenance. If you are a new RC enthusiast, you need to be aware of a few concepts and issues in this amazing hobby. Traxxas cars are the leading brand, with low maintenance and high performance, but the price is also set for this level of perfection. Exceed cars are the least expensive of all model makers and does require a lot of maintenance. However, this is a perfect starter car for someone that doesn’t want to burn a hole in their pocket for their first attempt. Tamiya is the original and classic RC car brand. This is a 30-year-old company that provides you with high details but low performance; their designs are a bit outdated, so they are slower than a lot of their competition. Team Associated is a new brand and delivers high quality, low maintenance performance models. Losi is a modern solid company that delivers hi-tech models and is a leader in high-performance racing circuits. Street Cars, which are designed for speed with low clearance on flat surfaces. Drift cars are street cars with slick performance components that enable you to perform slides on curves; they do go as fast as some street cars too. Buggy cars are the crossover between a full off the road to the on-road vehicle and perform great on all surfaces. These are the second fastest cars on the road but tend to be slow on off-road applications. Truggy cars are like buggies but designed for the off-road application, and they usually come with monster truck tires. Trucks are always monster in design, big tires, solid chassis, high clearance. They do not turn well and are really only for rough woodland type off-road applications. There are two types of motor, the Nitro (gas) or the electric. Electric motors are usually cheaper and cleaner than the gas and are less maintenance intensive. After all, a gas motor works exactly like your car motor, so expect a garage like maintenance with these. Electric cars are improving, and they do give you better acceleration and in some advanced models, top speed. They do however suffer from shorter run times. The brushless motors are expensive, and if you don’t have a backup battery pack for fast replacement, you will need to wait hours between recharges. Nitro (Gas) motors sound cool, look cool and run for longer times with a good fuel tank. They do need to be tipped up with gas, but that’s much faster than recharging batteries. The smell can be bad. These are complex vehicles that require a lot of maintenance. They use gasoline, so they are flammable too. You heard of it, you know its expensive, but what is it? Brushless motors, just like any component come in a variety of sizes and from different brands, the prices have a wide variance, but start around $60 and usually don’t exceed $250 in the RC market. (this is only for the motor, not the model). Brushless motors have two ratings: kV and t, where t=turns and kV=power (kilovolts). The higher the kV rating, the faster the motor RPM. To understand kV, take a 12V electronic speed controller (ESC), the speed (RPM) will be 12 times the number. The lower the turns, the higher the motor RPM, so here is a table to understand the t to RPM. So, when you check your brushless motor, look for one of the numbers, and you can estimate the power of the motor. A final word on batteries, Li-ion (lithium-ion) batteries are what are used in Tesla; they are faster to recharge and more powerful and durable than the old NI-Cad batteries. Whatever you do, only use a Li-ion battery for power.